"My consultant's knowledge of colours and clothes is inspiring. I felt listened to and truly comfortable in her care and expertise. What an invaluable afternoon. I've left with a toolbox for life, knowing that I can empower myself, make the most of my natural colours and make positive changes to the way I view myself. Why would you not want to do this? Thank you very, very much." "Although I was looking forward to this session being informative, I underestimated how positive it would make me feel. My consultant made me feel relaxed and spent time explaining the concept and ensuring I was comfortable with the outcomes. Her actions truly represented House of Colour as I have now been talking to everyone about it!" "Excellent. Before the course I thought the fee was expensive. After the course I felt that it was the best money I had spent on myself in recent years." "I had such an amazing life changing day!!! Sounds crazy to say that because it's only picking out colours (to someone who doesn't know), but really it changes everything about how you show yourself to the rest of the world!" "Just had a House of Colour consultation and all I can say is...unbelievable! I was so impressed by my consultant's knowledge and expertise, and the way she explained everything so well. She put me at my ease and was just lovely. And she doesn't impose or tell you what to do, she is very encouraging and empowering. I really wish I had done this years ago and one of the biggest compliments I can pay my consultant is that she made me, a 57 year old who was really thinking that there was little I could do, feel really pretty." "I now know that I am dressed right for any meeting, for speaking to any audience - perfect colours, perfect style for my personality, pitched right for the people I am trying to impress. An enormous boost to the confidence of one of nature's scruffs. And it cost me nothing - I got my money back next day by not buying the expensive suit the salesman was trying to foist onto me." 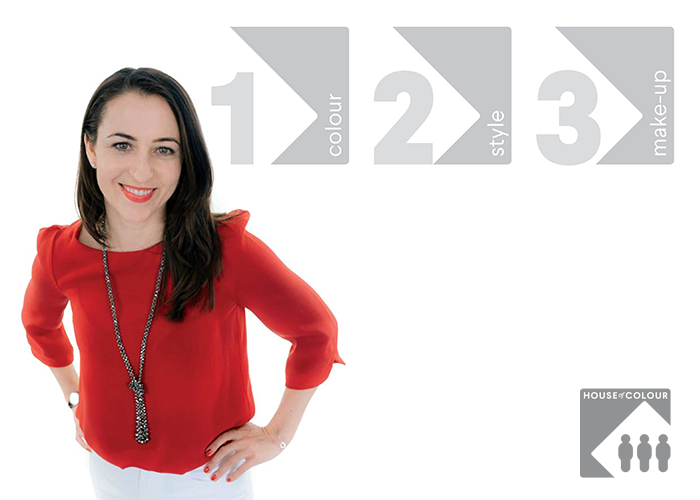 "As someone who used to only wear black, my experience of Colour and Style analysis with House of Colour was life-changing. My consultant was extremely knowledgeable and made the whole experience really enjoyable. Knowing what colours work for me has given me a sense of confidence in the way I present myself. I particularly like House of Colour’s lipsticks and love playing around with the different Autumn colours. They are long lasting and have a smooth feel. I’ve had many compliments on the no.5 Rust."